Preheat oven to 400°. Place bread slices on a rimmed baking sheet and toast in oven until golden brown, 8 to 10 minutes. Let cool. In a medium saucepan, combine orange juice (but not zest), the lemon juice, sugar, and chile flakes. Bring to a boil over medium-high heat and cook, stirring, until sugar dissolves, about 2 minutes. Stir in cranberries and reduce heat to a simmer. Cook, stirring occasionally, until cranberries are softened, about 15 minutes. Let cool. 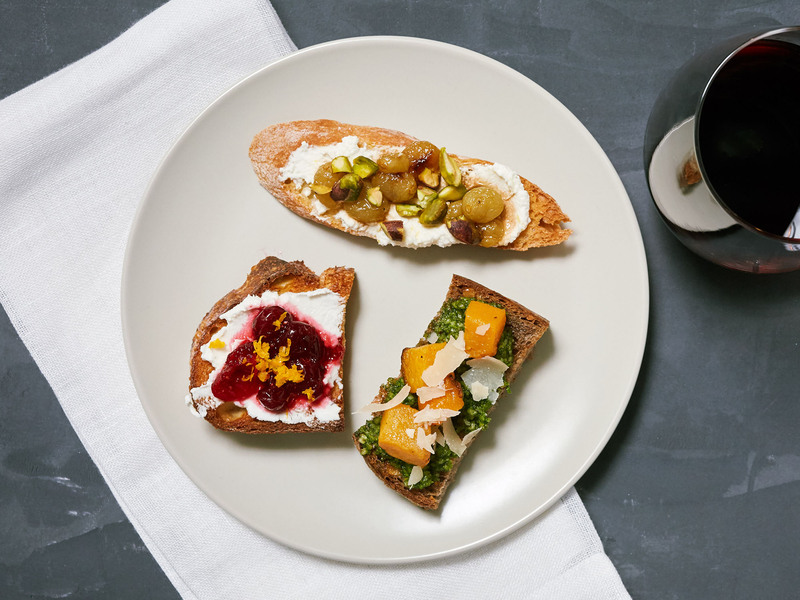 Spread toasts with goat cheese, then top each with a spoonful of cranberry relish. Sprinkle with orange zest and serve immediately.